David Williams has been practicing yoga daily, without interruption, since 1971. In 1972, David met K. P. Manju, the son of K. Pattabhi Jois, and saw him demonstrate the Ashtanga yoga primary series. This event took place at Dr. Swami Gitananda's Ananda Ashram in Pondicherry, South India, where David received his 6-month yoga teachers' training course certification. In 1973, David began learning Ashtanga yoga from K. Pattabhi Jois at his home in Mysore, India, and became the first non-Indian to be taught the complete Ashtanga yoga system of asanas and pranayama directly from Jois. In 1974, David became one of the first non-Indians to be certified to teach the Ashtanga yoga asanas, and one of the very few people ever certified by Jois to teach the Ashtanga yoga pranayama. David is responsible for teaching the Ashtanga yoga system to many of today's leading teachers and practitioners, including David Swenson, Doug Swenson, Danny Paradise, Cliff Barber, Bryan Kest, Jonny Kest, Tracy Rich, Chuck Miller, Maty Ezraty, Kathy Cooper and Andrew Eppler. David is 60 years old. He is a graduate of the University of North Carolina at Chapel Hill. 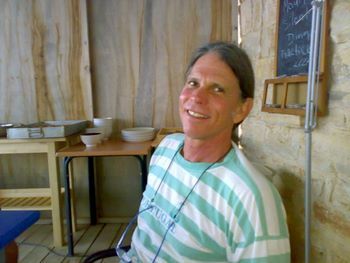 He has lived on the island of Maui, Hawaii, since 1976, and teaches private individual or group classes by appointment.